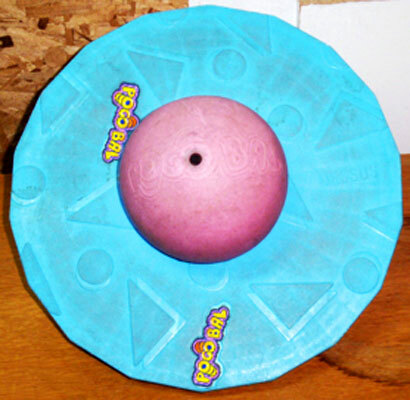 "Bounce! 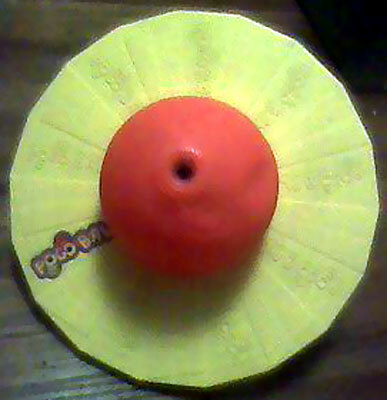 Turn! Twist! 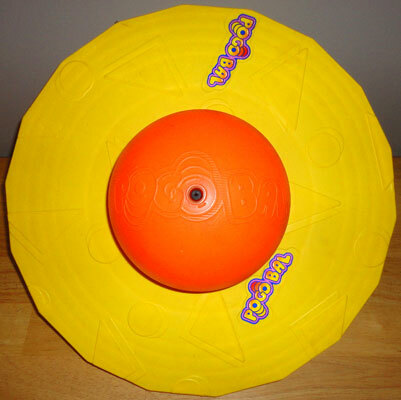 The newest skill and action craze of the 80's!" 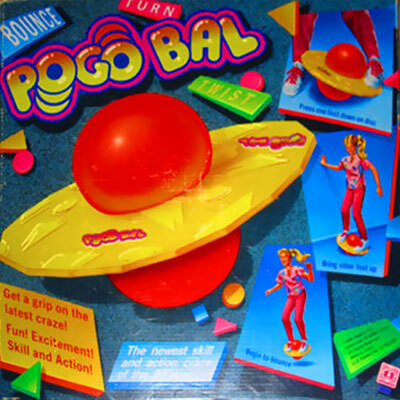 Pogo Bal was produced by Hasbro from 1986-91 and again in 1995. 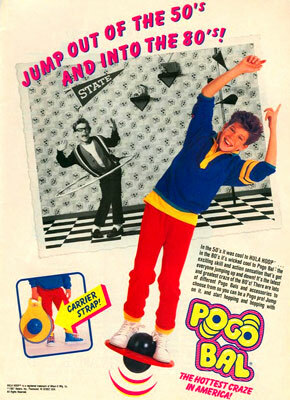 Marketed as the pogo of the 80's, it became quite the craze for a short while. 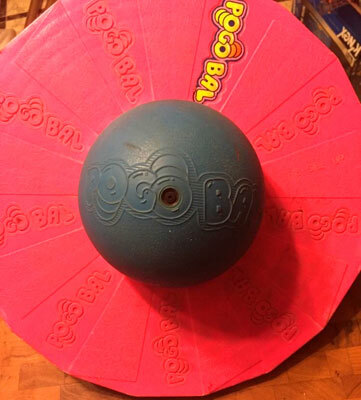 The basic design of a figure eight rubber ball with a plastic disc in the middle is still produced to this day by various companies under different names. 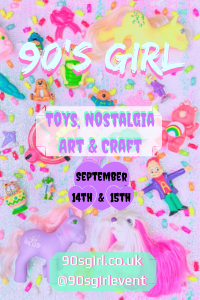 Images on this page thanks to Pranceatron, niolani, Wiskate, Supercomentario, Sydlexia, Green Plastic Squirt Gun, IrmaExotic, wagner_arts and eBay sellers joannam13 , ninjamonkeyspacerobot , greengorn , mlmoyer and fun-2-find ! 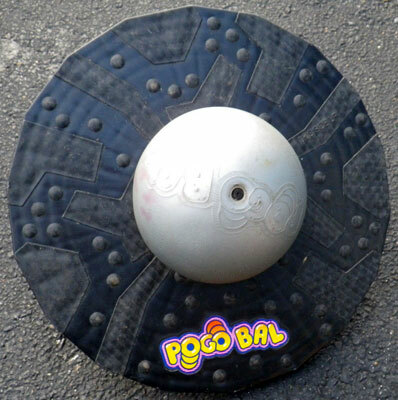 View all Pogo Bal on eBay.com or eBay.co.uk ! "It's the latest craze of the 80's! 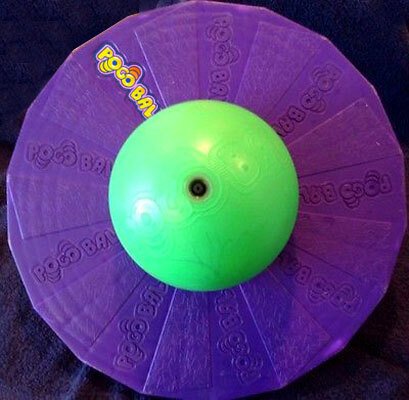 Bounce, jump, twist, turn and dance on this bouncing, bopping ball. 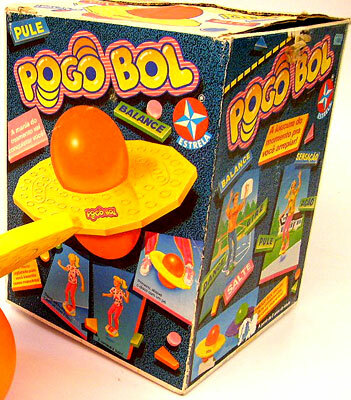 Pogo Bal is a fun, exciting skill and action toy! 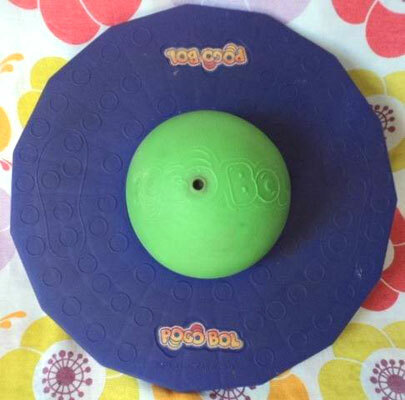 Stand on the disc, press your feet against the ball - and bounce! 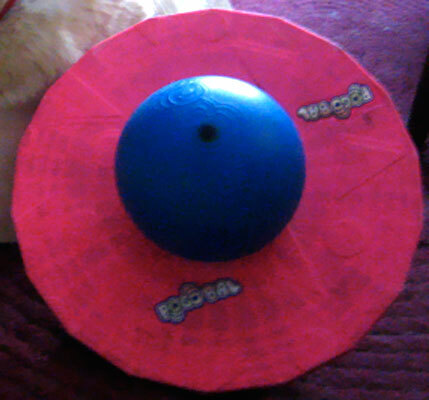 Comes in lots of bright colours and exciting designs." 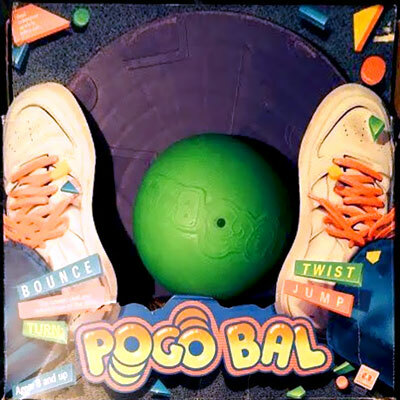 There were several two-colour variations of the original Pogo Bals produced. 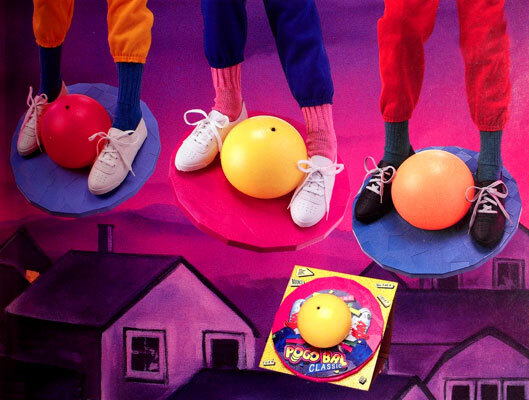 When the Mini Bals were produced in 1989, the original toys were marketed as "Classic". 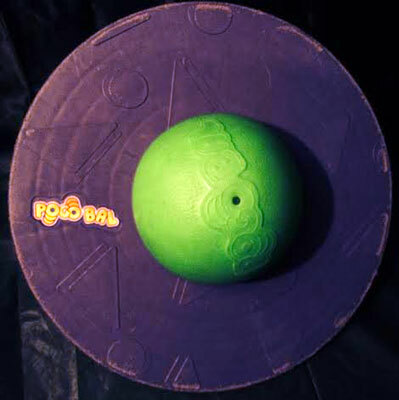 The logo was embossed onto the central ball too, which could be pumped up. 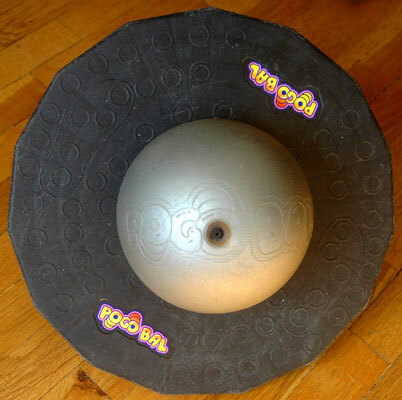 I've found five different embossed patterns to the base, which came in six colour combinations. I've grouped the below images by embossing designs. 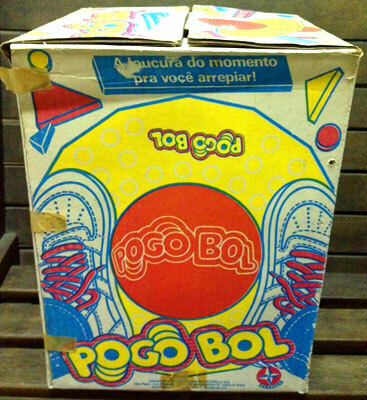 In Brazil it was sold as "Pogo Bol". I've only found two colour variations and all images found use embossed base design 5. 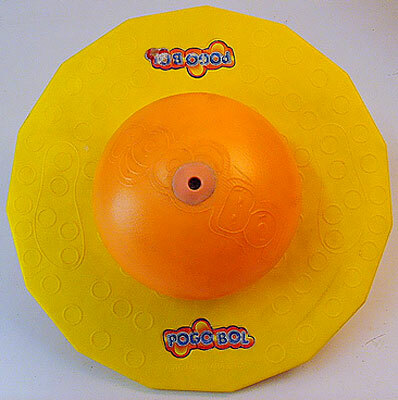 "The Original Pogo Bal is back" This "bouncing" sensation of the decade features three brightly coloured disks with classic Pogo Bal designs." 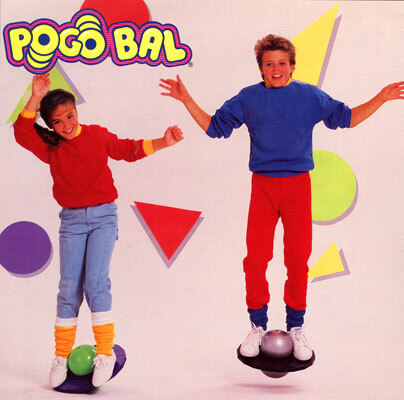 The original Pogo Bal was re-issued in 1989 along with Mini-Bals. 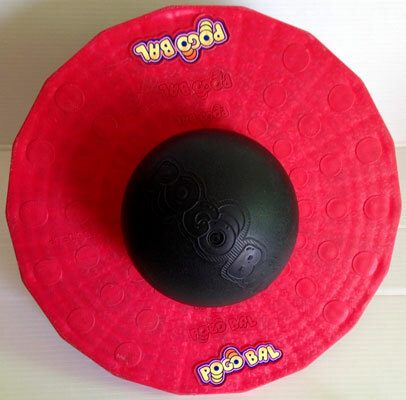 There were three new colours and emboss designs. 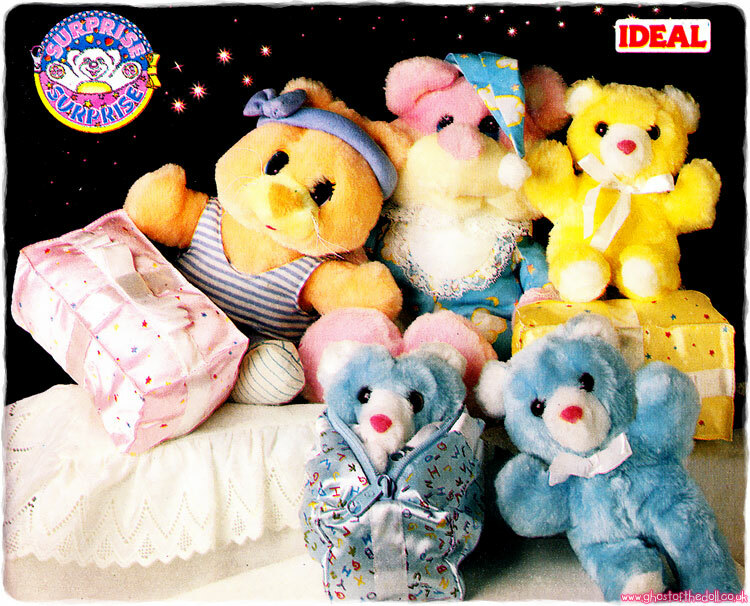 I haven't found any images of these yet.